Meet Face-To-Face and Present from your iPhone or iPad. 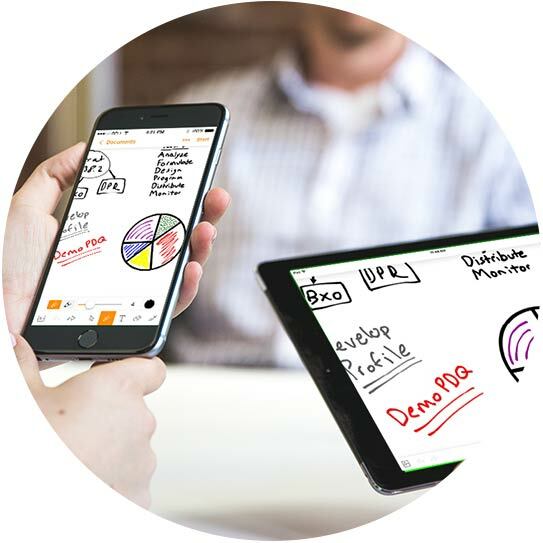 Start a meeting from your iPad® or iPhone® to share documents, whiteboards and presentations in real time. 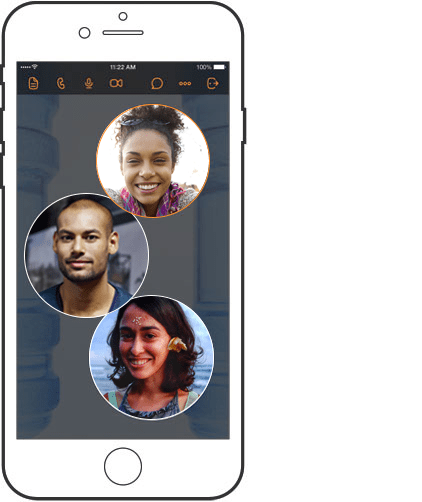 Meet face-to-face when on-the-go, with new video for iOS 9. You can even start your conference call without dialing or enter a passcode. 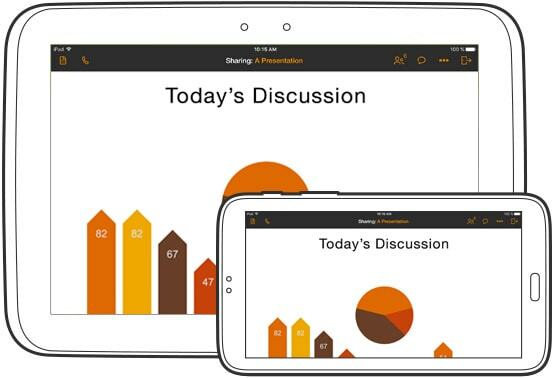 Our mobile apps for iOS deliver a seamless, instant meeting start with just one touch. Android’s more human than ever. With the simple click of a button, join.me Android users can instantly meet face-to-face, collaborate and share their entire device screen, apps, web pages or a document. join.me PRO and join.me BUSINESS users will find all the features they know and love from the join.me desktop app – pass presenter, recording, chat, and more. And you can audio conference by phone or Internet (VoIP) so that you, and everyone else involved, can see and hear everything in real time. A wise man once said “a picture is worth a thousand words”. join.me thinks it’s worth way more. At least when a mobile whiteboard is involved. Hands down, it’s the simplest, most effective way to brainstorm, demonstrate ideas and close sales. Our Infinite Canvas lets you draw, edit, and add images to your heart’s content. Once you try it, you’ll wonder how you ever worked without it.